It’s the most wonderful and stressful time of the year - all fun and games one day, and family drama the next. But there is a wine-free way to relax jittery nerves, and all you need is five minutes and a firm touch: acupressure. We sat down with acupuncturist and doctor of traditional Chinese medicine (TCM) Emma Quine to get her top tips on how to calm your nervous system and ease anxiety in a hurry. Check out the video to learn more about acupressure and discover what points to work when your Uncle starts ranting about immigration again. You’re welcome! “As a guideline, use direct firm pressure on the point or points for two to three minutes, taking deep, slow breaths; this will help activate the points bringing balance and calm to your system,” says Emma. “Depending on the point, you can use thumbs or forefingers or a pincer grip, and press one side or both points at once.” Remember, any measurements given are based on your own hand and fingers, so measure them out using your own hands. In TCM, the sweet spot to ease anxiety is called the Pericardium 6 (PC6). 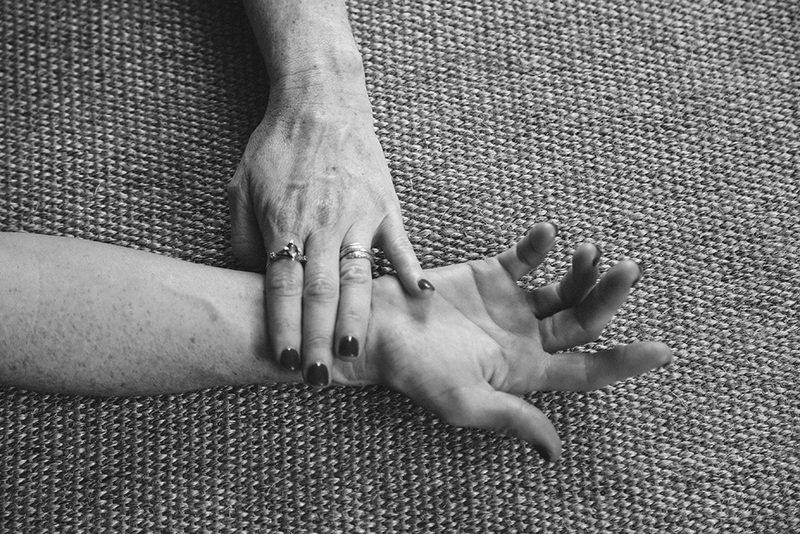 You can find it by placing three finger breadths up from the inner wrist crease, in between the two tendons. “This point has a calming action and nourishes the heart, helping reduce both acute and chronic anxiety,” says Emma. To find it clench your fist and roll it inwards slightly. “Hold the point with opposing thumb and take deep breaths for two to three minutes,” says Emma. This point also helps fight nausea - great for anyone who gets travel sick - and is safe for kids too. And this is just a taster. There are more great anxiety-reducing points to try, so check out the video above for more TCM goodness. For more information about TCM and acupuncture, check out Emma’s website or follow her on social at @emmaquine_acupuncture.